a little giddy at first--Living backwards! Alice repeated in great astonishment. I never heard of such a thing! --but there's one great advantage in it, that one's memory works both ways. I'm sure MINE only works one way, Alice remarked. It's a poor sort of memory that only works backwards, the Queen remarked. I don't understand synchronicities, but they happen to me quite often, usually visiting in groups of threes. Do these meaningful coincidences randomly land in our laps, or are we tuned into a certain subject and therefore take note? I'm not sure, but I think it's fascinating. They certainly grab my attention. Does it mean my memory works both ways? I like to think so. One morning last week, for instance, it all started at my local Goodwill store, when I spotted a quirky little French conversational textbook, Ces Gens Qui Passent (The People That Pass), 1951, by Alice and Paul Langellier. 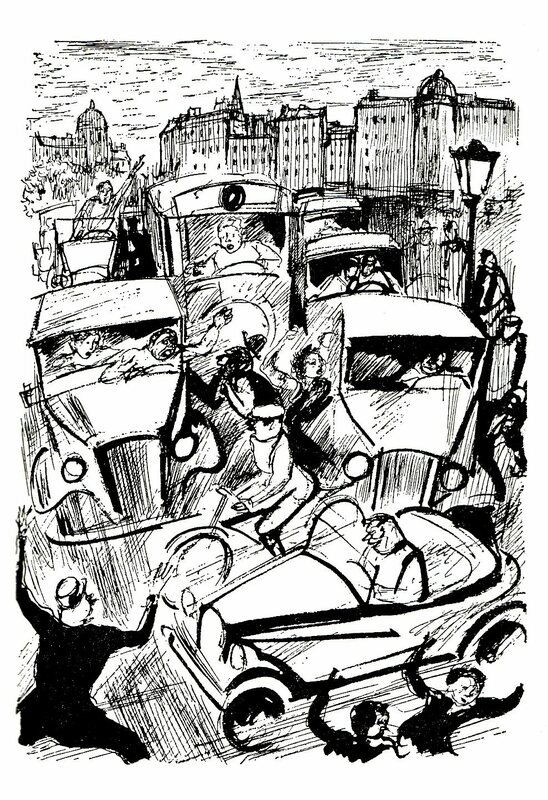 I loved that it was full of delightful pen and ink illustrations by Andre Gerard. It was only $1.50, so I scooped it up and popped it in my bag. Afterwards, we turned on Turner Classic Movies and The Lavender Hill Mob, also made in 1951, by the way, was playing. It's a charming little film by Ealing Studios, about a timid bank transfer agent (Alec Guinness) who plans a gold heist and arranges for it to be melted down into Eiffel Tower souvenirs. 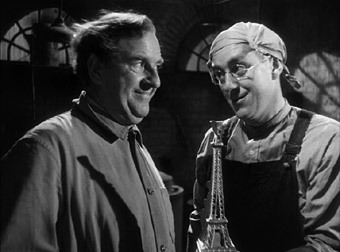 There's a fabulously silly film sequence of Guinness and Stanley Holloway, his cohort in crime, dizzily running down the steps of the Eiffel Tower, still spinning when they reach the bottom. Last, but not least, shuffling through the mail, I spotted a red Netflix envelope. Inside was a film I added months ago, Shoot the Piano Player (Tirez Sur le Pianiste), 1960, a casual, but magical French film, with lots of excellent acting and a great musical score. Ahead of it's time, I think. I'm adding it to my favorites list. All in all, I had a very lovely, however très bizarre, French day. I love when these things happen and I think it happens more often than not. It's the noticing that escapes most of us. I would imagine an in tune mind like yours would indeed pick up on it. Figuring it out is always the thing for me, I notice it but often can't figure out what the message is. Would love to have wandered through Goodwill or "Gdub" as my husband likes to call it, with you. Ooh I love life's little mysteries, mon ami, coincidences among them! I didn't much enjoy the Celestine Prophesy, but I love the premise in that perhaps the coincidences are offering some puzzle for which to solve. I do know for certain that when we start to take steps in a particular direction, the universe loves to put things in our path to guide us along. Love synchronisity..just another device that flies in our face to show us that spirituality is ours...days like yours are a blessing..remember, no coincidenses!! Love those films, too! shall we just start calling you 'frenchy'? that locale puts you in the know. A wonderful French day indeed! Glenn, like you, I've only visited through film. And I'm sure it will feel like I've been there before when I finally visit. Paris is high on my bucket list. Windowlad, oui, les mystères délicieux! I know! I didn't even count you, Cro. You made it six French things~! You seem to rip through life at 100mph, Tess. When you eventually get to Paris, I reckon you'll do it in a day and write about it for life. You'll love it to bits. I'll be in Paris for 10 days in March and would love to hear about some non-touristy things to do that only the locals know. Donna, daaahling, I'm GREEN with envy!! Can't wait to hear allll about it on your return! Synchronisity reminds me that when I am fully present to the moment I realize that indeed all is connected in the now. Jeanette, I am going to call it "Gdub" from now on! Brilliant. 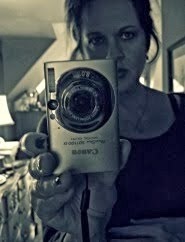 By the way I LOVE your glam pic on the side of the blog. Va va voom!! Is that French?? I don't usually realize that I'm experiencing synchronicity until the third time; perhaps that's why it seems to come in threes which is usually where it ends with me, but perhaps in the "knowing" I stop "seeing". Just a thought. I love the Andre Gerard illustration, Tess. Strange, but delightful, when these things happen to us. Hurray for those French days dear Willow...now bring us some Arabian Nights. I'm really into Bollywood and India these days so program some Maharajah stuff for me, Willow, with intriguing plots, wonderfully scented incense, flowing sarees, sumptious meals and spices, hennaed hands and the like! "There are no coincidences." If I'm going to have coincidences, I want them all to be French ones, anyway, eh? looking forward to that recipe! I too love it when things happen like that. I noticed that I am becoming more aware of these types of things as they happen. I am trying to live more aware and in doing so I am continually delighted by the little synchronicities. They are truly little gifts even the ones that hurt are still powerful and beautiful. I read somewhere that our perception of time moving 'forward', as it were, is a function of the fact that the universe is expanding and, that, if the universe reaches it limits, as some physicists have speculated, and begins to contract, that time will then begin moving 'backward'. Imagine coming into consciousness as an old person, only to live growing younger and, eventually, being sucked back into the womb. What, then, would be death, and what birth? I have stuff like that happen to me all the time lately. It's awesome, isn't it? I think it's partly that we pay attention and really SEE. "LEAP...and the net will appear!" I hope you opened a bottle of French wine to accompany the meal or the film! Oh, I have seen that film. Love your magical French day! The best is when you really LIVE IT! Synchronicities happen! When everything is French, however, it's not only tres bizarre; it absolutely wonderful. Did you see this story? I have no idea if it's the truth, but it sure is fun to think about, and it might explain a few things. The very idea of time leaking backwards! And I note they chose to cite Carroll as well. Hi there...what a sweet little vignette of a day. My husband and I watched the Lavender Hill Mob last week, also! Never heard of it before and I never thought I'd ever hear of it again, but here you are...talking about the Lavender Hill Mob. Ah dear Willow, I do believe you are entering your French period......et ce un moment passionnant ce sera! Glenn, I totally agree with you on your little plug for film and how much we can gain from them. I must certainly have PhD by now! Yes, I think most everyone has had at least one experience where, for example, we are thinking of someone we haven't thought of for a long time ... then later that day, or the next, we hear them mentioned from another source. Or, we guess something very specific that we could never have known and don't even know why we said it. In my experience, these little things don't lead anywhere, they just are. I believe they are an innate human ability. But not one that we ourselves control, rather one that is sovereignly handed out to us, in small doses, by the One who gives and takes away. I believe that to a great extent, artistic ability is the same way. That is why artists invoke the muse, right? Without the ability flowing in from outside yourself, you can do nothing. PS Having been off the blogs for about five months, I notice you are now using your real name. I'm sure you have a lovely post somewhere explaining this change, but at the moment I don't have time to hunt for it. Nice to meet you, Tess. Synchronicity, that great spin-off of the wheels of time! Delightful coincidences like yours can make one's day. They seem to be happen ing more and more to me - I wonder if it's because I'm looking for them more and more? Maybe they know where there's a sympathetic reception waiting! Unplanned days with serendipitous happenings are probably the best! 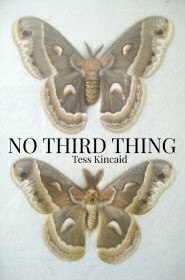 I've just been catching up and enjoyed reading your last two poems, both intriguing interpretations of the image prompts; the first recipe from your new acquisition and, most of all, the wonderful news of your chapbook. A million congratulations! I enjoyed your quotation. I have a memory that occasionally works both ways. I think synchronicity happens more to those who are open to it. Or maybe, like blessings, they don't really count unless someone takes notice of them. Synchronicity Is A Dish Best Served Hot! Stanley Holloway. A Wizard A True Star! In order to dance in alignment with you, I watched "Love in the Afternoon" last night. Bonjour! Shari, I think you're exactly right. We must take note! Jen, yes, I'm going by my actual name now, only because my poetry is beginning to be published. I wanted my name real name attached. But feel free to call me "Willow". I still go by both. 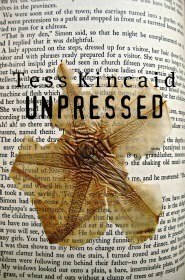 Months ago I believed "Tess Kincaid" was a fictional Peep--used her in my blog posting as such, figured you would never 'talk' to me again. On topic...synchronicities (sometimes instant affinity) happen in my life daily, sometimes I do not realize until the following day. But I love the mystery, often say to myself in mornings, "Wonder what beautiful situation, surprise, Peep will happen in my life today--because I know there will be at least one! Thanks for your thoughtfulness, Willow! this is your tres bizarre uncle... hee hee nice post my dear neice! I love The Lavender Hill Mob. Damn... I was going to recommend a movie to you. Older, from the 20s, I think. Got it! Trouble in Paradise. You seen that one? Jeff, no, I've not seen "Trouble in Paradise". Those pre-code flicks are usually pretty good. I'm adding it to the Netflix. Thanks! i think similar things have happened to me. i don't quite remember. apparently my mind doesn't work in any direction. 1. Reread "Through the looking-glass." 2. Watch the movie "The Lavender Hill Mob" (I do love Alec Guinness). 3. 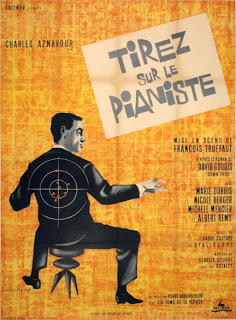 Watch the movie "Tirez Sur le Pianiste" (I chose the French title 'cause it makes me giddy). Puh! You do keep me busy, Tess. I think that in the 60's "Shoot the Piano Player" was a staple. Glad that you had a chance to re-experience it. Maybe I should ask my son to get it on his Netflix. Cheers for a Happy New Year. haha Willow - my mind feels like its going around in circles- I DREAM of backwards or forwards!! a lovely trip to France without the expense and airflight! I love Sterling Holloway. As a child I had a record set of Peter and the Wolf and he narrated it. so expressive. Synchronicity, serendipity -- all those sorts of splendid "s" words -- all those "choses Francaises" on one day -- Mon dieu! Love the lightness of your blog's new look, Ms. Willow! read robert moss and his "the three only things" on this matter. Katie, I must check out Robert Moss. Thanks for the suggestion! I just love it when life presents these lovely and unexplainable mysteries to us. It wonderful that you are so open to seeing and to celebrating them! I am with Alice... "I can't remember things before they happen.." but maybe, if I pay attention, I can. Synchronised, I'd say, rather than synchronitic in some slightly woo-woo sort of way! Pleasing, though. This is the most delicious post! Each paragraph brings a new little twist and more morsels of fancy. So exciting to discover little old books as new best friends in the most out of the way places. 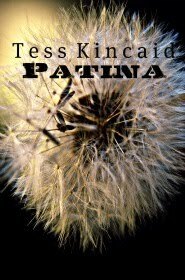 I wandered to your blog via the Weaver of Grass and River of Stones --- happenstance and serendipity. I stopped short at your quote from Through the Looking Glass; a marvelous coincidence since I have used a similar passage from the book as the Prologue in my first attempt at writing a novel. I often experience the types of coincidence you describe and am thankful for the wonder of it all. I'm enjoying you blog.